American Sports Car Design manufactures quality aftermarket automotive fiberglass auto body parts, ram air hoods, spoilers, body kits, ground effects and accessories for: Camaro, Firebird, Monte Carlo, Mustang, Chevelle, Nova, Chevy II, El Camino and Thunderbird as well as Ford Trucks, Chevy / GMC Trucks, the new Dodge Ram Trucks, and even hoods for the Chrysler PT Cruiser! 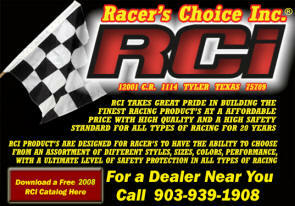 The Best Auto Racing Safety Equipment for Less! We sell a large variety of unique Officially Licensed GM Merchandise. The Camaro has been a large part of our lives for 35 years, and so we create wearables and other merchandise to celebrate and remember the legacy until the hopeful return!